Built the 1930s, Tiong Bahru Estate is one of the oldest housing estates in Singapore. 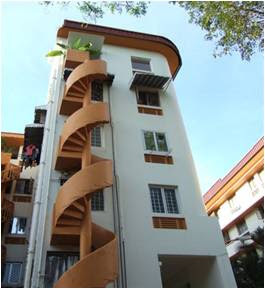 It was the first project undertaken by the Singapore Improvement Trust (SIT), a government body administered by the British colonial authority, to provide for mass public housing in Singapore. The estate consists of about 30 apartment blocks with a total of over 900 units. The apartment blocks are made up of two to five-storey flats and the units are assorted three to five-room apartments. 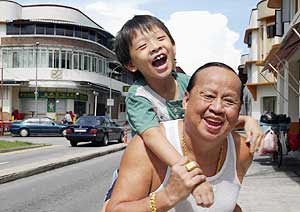 You are currently browsing the Tiong Bahru Estate blog archives for June, 2003.